At 400 North Ervay, we have curated our community amenities to fulfill your every need. Take advantage of the pristine entertaining spaces on our rooftop terrace or in one of the two resident lounges. 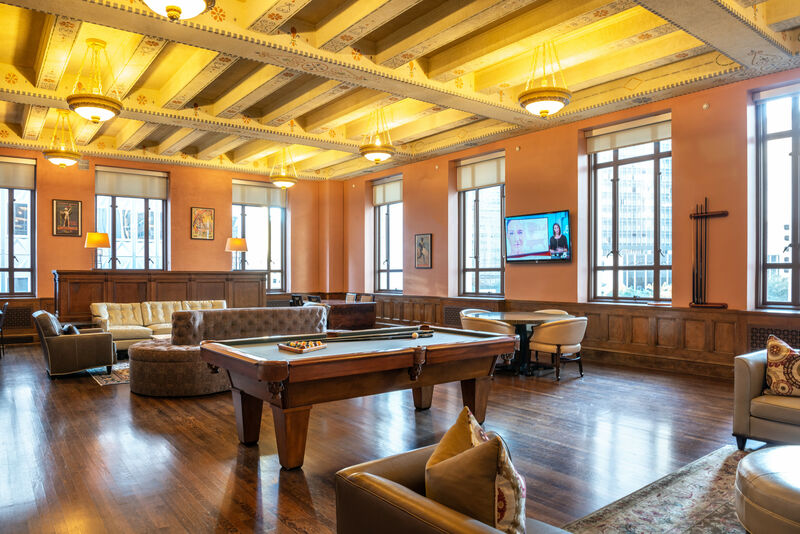 Converted from courtrooms to saloons, our Magistrate and Executive Lounges exude a dignified air, perfect for conversing with your friends and neighbors. Residents also enjoy a state-of-the-art fitness center and the convenience of an on-site coffee shop. Learn more about 400 North Ervay and our historic Dallas Post Office apartments. Schedule your VIP tour today.